This old gas pricing sign was left after a gas station went out of business. 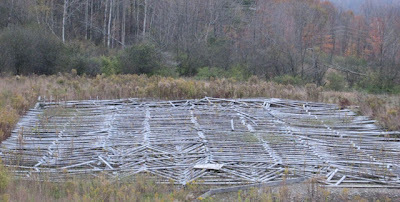 The funny thing is after the gas station was demolished and the lot was cleared this structure was left standing. The aesthetics of the sign could use some help. I spoke with the general manager of the hotel that owns the property and outlined a simple plan of adorning the sign with artwork. Perhaps it is an alternative venue for local artists to show work, or high school students to collaborate, or a space for installation art to be exhibited. 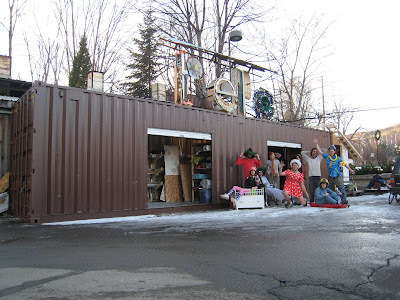 The premise is making use of unused things, whether it is material, space or talent. The general plan goes like this- Write a grant to fund the project and hopefully stipends for artists selected to display work. Make a call for artists in the region. Advertise in Splash, a Art Association publication advertising classes, workshops and general art news. 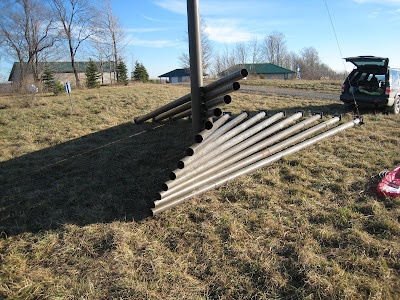 At the beginning of the summer, retrofit the sign for public art displays. 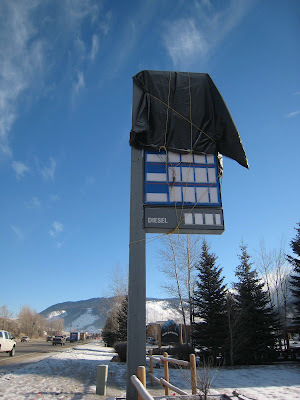 Curate week, month, or daily shows on the sign during the peak tourist season in Jackson Hole. The road that is pictured is one of the most heavily traveled roads in Wyoming. It is the main artery into Jackson, and throbs with throngs of tourists in the heat of the summer. 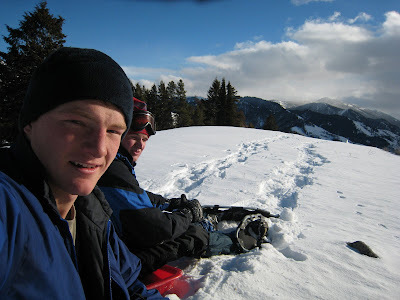 Prichard's Pass- Ultimate snowshoe and backcountry sledding adventure. 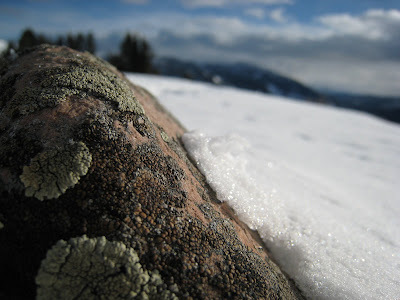 A good rock. It wasn't the benchmark, but it was our final stop for soup and beer before the descent. The epic view of mountains and snow. 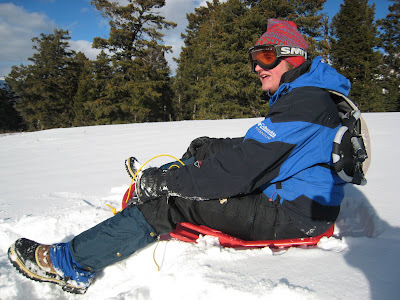 Steve prepared for a wild ride with snowshoes and a 30 degree slope. So we looked at how much time we had, and decided for the symmetrical stacking arrangement, seen below. 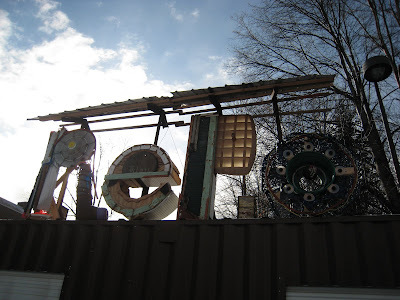 RePo is a material reuse program at the New York State College of Ceramics at Alfred University. Yes it takes an entire sentence to say where it is located, however this fine institution made this student operated program possible. 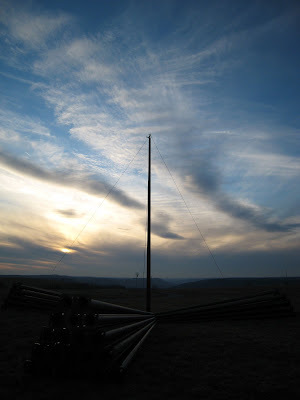 I am a co-founder of RePo or The Reusable Materials Depot and am proud to say it works! We distributed almost 2 tons of material in the first two months of operation. Students bring things they no longer need, and others browse for stuff they want. In addition, RePo employees investigate sources of reusable materials such as professors with garages that need to be picked over, or regional industry that produces scrap materials that could be used by students. 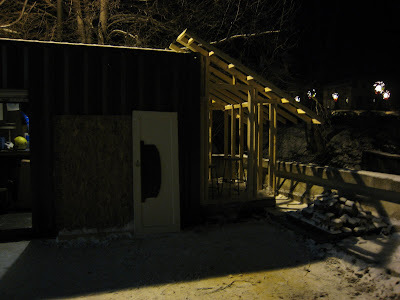 This soon to be heated addition will be the home of RePo employees during the frigid winter months. We will serve Hot Chocolate as an incentive for people to shop for free stuff. RePo opens at 11, right after the Moka Joka (a student operated coffee shop) closes, so we decided the space will be called the Chocolate Cocoa hut. 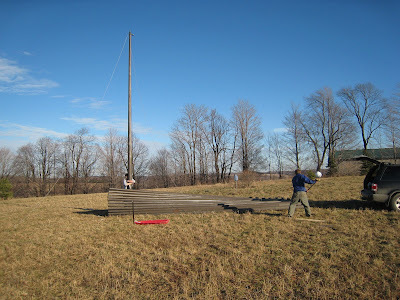 The space would have been entirely constructed from reused materials, but we were not able to negotiate the field of dreams, er, wood below.